If you have spotted a beehive in your yard, you are likely wondering how you can avoid putting yourself and others in danger. Most homeowners are shocked when they see a hive near their home and don't know where to turn. Learning the proper steps will ensure that you don't place yourself or others in harm's way, and you will have peace of mind. The same guidelines apply when you find a beehive on public property and want to safeguard everyone involved. People will often go online or read books to learn how to remove beehives without disturbing the bees, but doing so is not wise. If you make a mistake and startle the bees, they will sting you and anyone else in the area, resulting in pain and skin irritation. If someone is allergic to bees and a bee stings that person, you will have an even bigger problem to manage. When you consider the risks involved with handling the beehive by yourself, you will see why you must leave it alone. Now that you know where the beehive is and why you should stay away, warn others to do the same. If the beehive is on your property, let everyone who lives in the house know about the situation if you don't want them to get hurt. When you are near a shop, park or another public place, let the property manager know about the threat. An owner or manager won't always be nearby when you spot a beehive, but you can still let the employees know about it so that they can take action to prevent people from getting stung. After you are safe and have warned others about the beehive, the next step is to contact a pest control professional. These experts are trained and educated on how to best relocate beehives without putting people in danger, and you will know that calling them was the right thing to do. A trained team also has the needed equipment to get the job done right without causing additional complications. When you reach out to pest control professionals, they will come to your location as soon as possible to contain the hive before it has the chance to get any bigger. 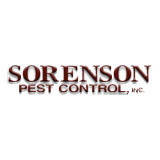 When you want to work with a pest control team that will have your back and get the job done right, you can depend on Sorenson Pest Control. Our trained and committed staff will evaluate your situation to uncover what approach will work the best. Once you enlist our help, we will send our team to your home or place of business to turn your bee concern into a thing of the past, and you will be pleased with the outcome.